Starbucks is the premier roaster, marketer and retailer of specialty coffee in the world, operating in 65 countries. Formed in1985, Starbucks Corporation’s common stock trades on the NASDAQ Global Select Market (“NASDAQ”) under the symbol “SBUX.“ They purchase and roast high-quality coffees they sell, along with handcrafted coffee, tea and other beverages and a variety of fresh food items, through company-operated stores. 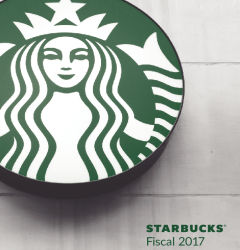 Starbucks also sell a variety of coffee and tea products and license their trademarks through other channels such as licensed stores, grocery and national foodservice accounts. 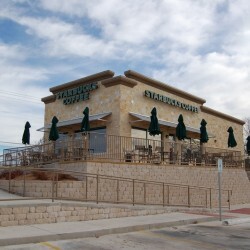 In addition to their flagship Starbucks Coffee brand, Starbucks also sell goods and services under the following brands: Teavana, Tazo, Seattle’s Best Coffee, Evolution Fresh, La Boulange and Ethos. Most stores also sell pre-packaged food items, hot and cold sandwiches, and items such as mugs and tumblers. Starbucks Evenings locations also offer beers, wines, and more.